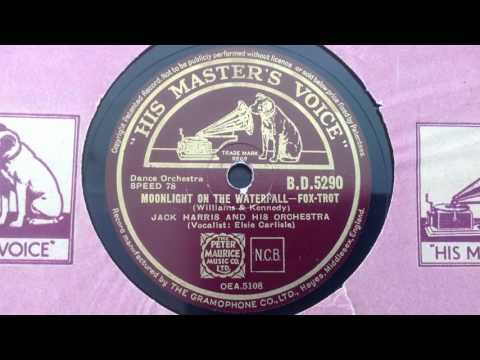 “Moonlight on the Waterfall.” Words and music by Jimmy Kennedy and Wilhelm Grosz (the latter employing the pseudonym “Hugh Williams”). Recorded by Jack Harris and His Orchestra with Elsie Carlisle as vocalist on October 25, 1937. HMV B.D. 5290 mx. OEA 5108-1. A composition by the prolific songwriter Jimmy Kennedy (collaborating with the exiled Austrian composer Wilhelm Grosz, who worked in Britain under the name Hugh Williams), “Moonlight on the Waterfall” associates the image of an lovely outdoor setting with the memory of a lost lover. The lyrics do not have any claim to being particularly profound, but Elsie Carlisle does justice to the song’s melancholy beauty with the sweetness of her delivery. This recording is the product of Elsie’s brief but productive collaboration with the band of American-born bandleader Jack Harris. 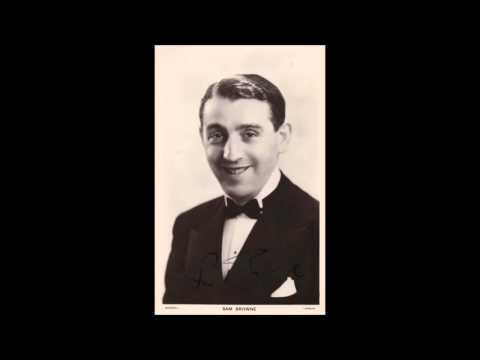 In 1937 there were recordings of “Moonlight on the Waterfall” by such bands as Ambrose and His Orchestra (with vocals by Vera Lynn), Mantovani and His Orchestra (Ken Crossley, vocalist), Billy Cotton and His Band (with vocalist Peter Williams), Billy Thorburn and His Music (with Eddie Guray, vocalist), and Maurice Winnick and His Sweetest Music (in “Melody Medley No. 2”). There were also solo versions by Ramona Davies, Dorothy Squires and Arthur Tracy. “Why Waste Your Tears?” Words and Music by Valerie “Val” Holstius (arranged by Lynn Vaughan). 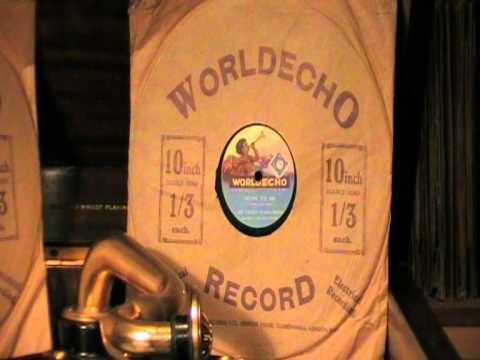 Recorded by the Durium Dance Band with vocalist Elsie Carlisle in London, September or October 1932. Durium EN-34. Durium records were made of cardboard coated on one side with durium acetate resin. These inexpensive vehicles for frequently excellent recordings sold at newsstands between 1930-1933 and usually had two recordings on their one playable side. 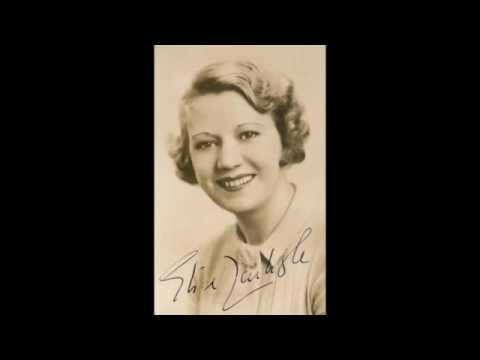 On this disc, Elsie Carlisle’s “Why Waste Your Tears?” is paired with Sam Browne’s “The Night Shall Be Filled with Music,” and the list of personnel includes such well-known Ambrose men as Max Goldberg and Tony Thorpe. Songwriter Valerie “Val” Holstius was the wife of writer Edward Nils Holstius. “Why Waste Your Tears?” appears to be her sole composition, but it is a good one. It takes the form of a response to, or even of a negation of, a torch song. It advises its addressee not to waste his or her tears on a lost love, but rather to move on. The arrangement used by the Durium studio band is decidedly upbeat, and Elsie uses her allotted 48 seconds of singing to deliver the song’s argument in a form that is light, bright, and memorable. “Why Waste Your Tears?” has lyrics that can be altered to suit a male or female singer, and in addition to Elsie Carlisle’s recording with the Durium Dance Band there were versions by Nat Star (Tom Barratt, vocalist), Terry Mack and His Boys (with vocalist Jack Plant), and Lew Stone and the Monseigneur Band (with Al Bowlly).